Creative riding in a perfect landscape. Danny MacAskill is a legend in the bike world. From creating his own unique trial bike style at a very young age, too capturing the internets attention through quirky videos and a cheeky smile, the Scot is is always pushing boundaries. He has once again created something which is awe-inspiring from start to finish and it’s a must watch. The Scotish landscape isn’t to bad either! So, even though Mountain Mavericks is in complete winter mode right now, sit back and watch the master at work! 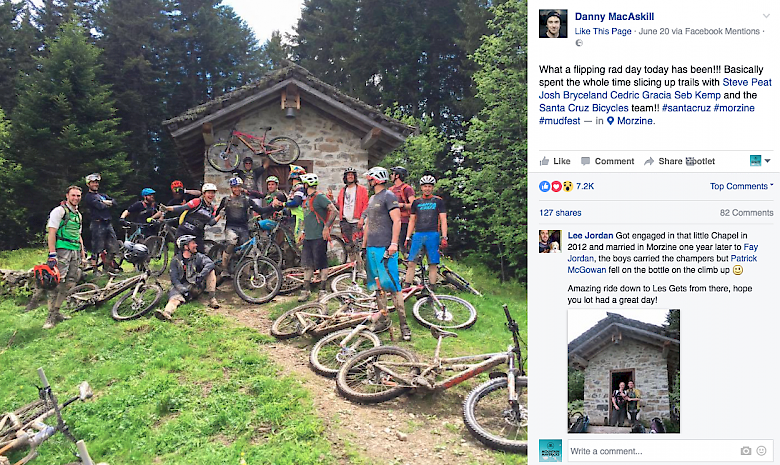 Danny MacAskill stopped by Morzine over the summer and got some mountain biking done. He then performed in the town square and soaked up the glorious weather of Morzine in the summertime!